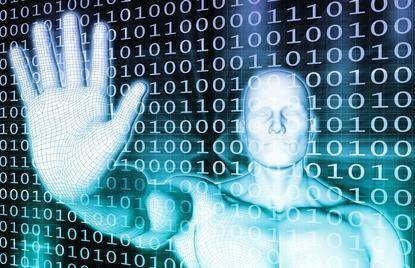 As organisations grapple with the opportunities and challenges posed by digital transformation, many are realising the important role identity management will play. With an increasing proportion of business interactions occurring electronically, being confident that someone is who they claim to be has never been more important. A recent international survey conducted on behalf of Ping Identity provides insight into current digital transformation projects and where organisations are directing their attention during 2017. Not surprisingly, mobile devices and applications are top of mind for many. They are seen as important mechanisms for improving productivity and boosting customer service. Usage of cloud platforms is also an area of focus. The survey found 82 per cent of organisations already have a hybrid cloud strategy in place while the average enterprise currently uses more than 730 different cloud services. The majority of those surveyed confirmed they plan to accelerate the pace of their digital transformation programs throughout the coming year. While progress has and is being made, they are keen to experience the benefits such activities can deliver more quickly. To date, completed transformation initiatives typically include giving employees the ability to save documents and files to an approved cloud platform. Many also report increasing usage of mobile apps and the ongoing replacement of legacy employee software applications with Software-as-a-Service (SaaS) alternatives. Next steps planned for the coming year include improving customer engagement through use of connected devices and creating seamless experiences across all channels. Interestingly, only 26 per cent of those surveyed feel they have this in place now. The survey found a high proportion (91 per cent) of respondents understand that security is a vital component to ensure digital transformation success. While 82 per cent believe security is more challenging as they make wider use of cloud services, 58 per cent actually report feeling more confident about security as a result of moving to the cloud. Respondents recognise that security is becoming a more complex issue and this complexity will remain a challenge throughout the digital transformation process. The survey found 78 per cent of respondents believe that security is more complex now than it was two years ago, and 82 per cent have had to add more dedicated security staff. To support this, 36 per cent said their IT security budget had doubled, 24 per cent said it had increased by a factor of five and 9 per cent said their budget had grown by a factor of 10. When asked about traditional security technologies, survey respondents recognised they are not going to be sufficient to deal with the highly distributed nature of emerging IT infrastructures. Mobile, cloud platforms and the Internet of Things (IoT) all pose growing challenges that will need to be addressed. It is clear to most that identity becomes the foundational unit of security and will be vital to control access through authentication. The role of identity and access management (IAM) is particularly important when it comes to employee access to mobile applications, access to the cloud and interacting with partner supply chains. It's also increasingly important for businesses who want to better understand their customers. Across the board, organisations are looking for ways to drive automation and speed workflows, and 80 per cent of those surveyed said IAM and single sign-on (SSO) was important for this. At this same time it should be remembered that SSO is not a silver bullet and won't solve all IAM challenges. SSO is not a product you can deploy, but rather it is an approach that touches everything in the IT infrastructure. For digital transformation programs supported by a comprehensive IAM platform to work, all parts of an organisation must be onboard. Everyone from senior management to front-desk staff must understand the benefits and what it will mean for them. By striving to reach these objectives, organisations will be well placed to make significant progress in their digital transformation programs during the year ahead. Ensuring that a robust IAM platform forms part of the plan will ensure all the expected business benefits can be realised.